To conclude the discussion of the research on board the Shimada, I would like to profile the remaining scientists: the four fishermen of the night shift, and give a general report of the results of the cruise. Toby Auth, fisheries biologist with Pacific States Marine Fisheries Center (PSMFC), oversees most of the operations of the sorting, measuring and counting of the trawls. He works as a contractor to NOAA under the guidance of Ric Brodeur. Toby holds a BA in Fisheries and Wildlife from the University of Minnesota and he did both his MA and Ph.D. at the University of Maryland in Fisheries Management and he specialized in studying the early life of fish–egg, larval and juvenile stages, collectively called ichthyoplankton, basically anything fish-related that is small enough to sort of float along in the water. As a researcher, he is most interested in understanding spawning success and food chain interactions of the Pacific coast species that come up in the trawls. Typically, Toby is at sea 30 – 40 days a year, but this year, due to the anomalous warm blob, he expects to be at sea about 50 – 60 days. The anomaly has implications for all fields of marine biology and oceanography. In the far left of the image stands Dr. Paul Chittaro, of Ocean Associates in Seattle, WA. Paul is at sea on a research cruise for the first time in 10 years, and he’s very happy to be here. He was on board collecting fish in order to examine their otoliths, which are ear bones. Otoliths grow every day, laying down rings, almost like a tree. Analyzing these rings can give information about the fishes travels, diet and ocean conditions when they were alive. The big guy in the back is Will Fennie, who will begin his Ph.D. at Oregon State University in the fall. The entire cruise he has been eagerly awaiting some juvenile rockfish to come up in the net and finally, in the last few nights, some did. Overall, we caught much less rockfish than in previous years. This could be for any number of reasons. You can hear interviews with Paul and Will below. I have to give a HUGE thank you to Ric Brodeur, Chief Scientist of this mission, for supporting me as a Teacher at Sea and for reading each and every blog post! Listen to my interview with Ric to learn more about the impacts of the research done on board the Shimada for these 13 DAS and possibilities for the future. Thanks to XO Sarah Duncan as well, both she and Ric had to read and edit each one! It would take quite some time to tell all the stories of the marine wildlife we have seen on our 13 day cruise, but I would still like to share with you some of the photos and video I and others were lucky enough to capture. Enjoy! All photos in these two galleries are courtesy of Amanda Gladics, Oregon State University, Seabird Oceanography Lab. A group of black-footed albatross sit on the water while one flies. A humpback whale (Megaptera novaeangliae) tail fluke. A pair of humpback whales (Megaptera novaeangliae) travel together. 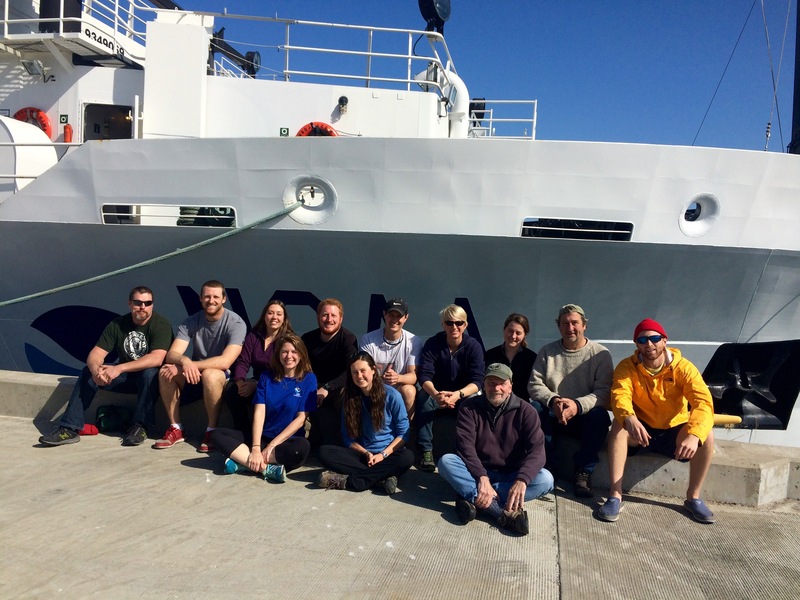 Hopefully, you all have learned a lot about fisheries research, the process of science and the fascinating cast of characters who sailed with the NOAA Ship Bell M. Shimada. Maybe you’re even feeling a little inspired. Now, I know I’m an inland city kid, but I’ve loved the sea since I first saw Free Willy at the age of 7 and I’m not the only one who can trace their love of the sea to a starting point. All the scientists on board have an origin story: one salient memory that they can credit with being the moment of inspiration for pursuing a life of study and research and a career in the field of science. If you’re curious about the world, you have the potential to be a great scientist. Science is for all people, no matter what age or situation, and these ones just happen to do theirs at sea. So, I want to know: Where will you do yours? That’s all for now. Thank you for reading and listening and, maybe, sea you again soon! Alex Miller, Teacher at Sea, signing off. One last huge THANK YOU to the crew and officers of the Shimada for a wonderful cruise!!! 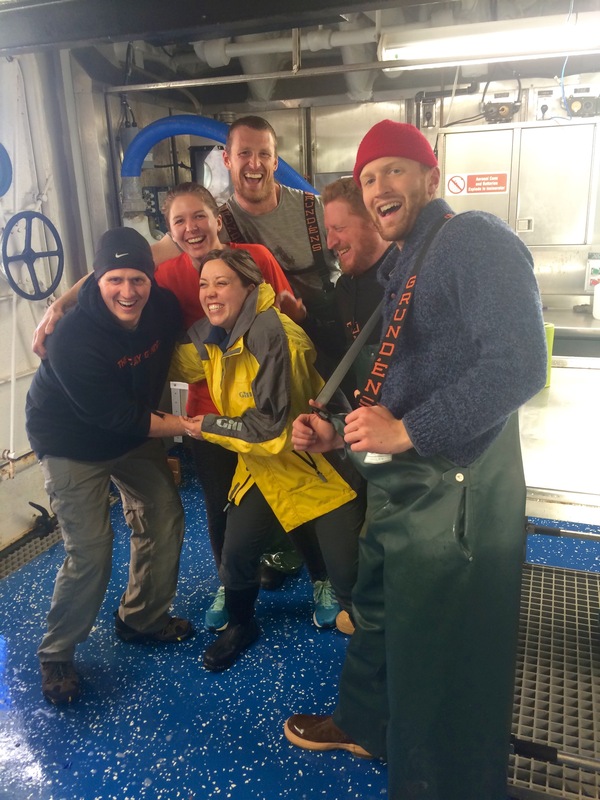 This entry was posted in 2015, Alexandra Miller, NOAA Fisheries Service, NOAA Teacher at Sea and tagged chief scientist, fisheries, ichtyoplankton, Marine Mammals, oregon coast, Pacific Coast, rockfish recruitment, seabirds. Bookmark the permalink.